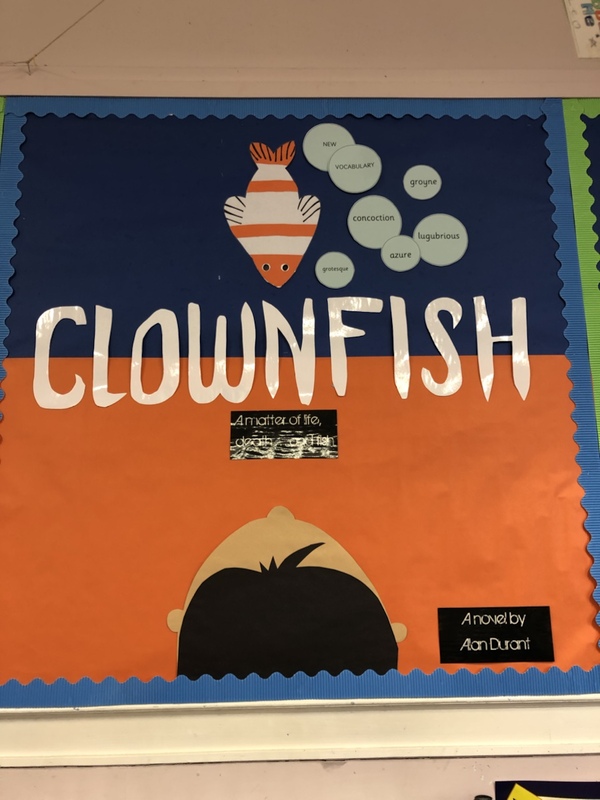 P7 have been enjoying reading the book ‘Clownfish’ this term with visiting reader, Edel. She has also been kind enough to organise a free-of-charge visit from Alan Durant, the author, for this Thursday. Any P7 wishing to buy their copy of the book at the reduced price of £2 so that they can have Alan sign their book should bring the money to school before Thursday’s reading session.